is seeking comments from fishermen about the 2008 sport fishing regulations. Fishermen can make suggestions about size limits, creel limits or any other idea or concern they have about the state's fishing regulations. Public comments are considered by fisheries managers and may be presented as proposals for regulation changes. While I don't know if it will make a difference to send in my comments, I do know that nothing will happen if I keep quiet. 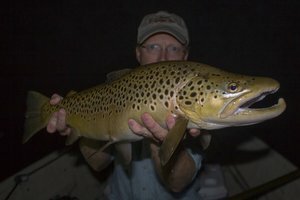 I definitely have some suggestions I would like to see implemented, specifically about my "home" tailwater, the Caney Fork. It has the ability to grow very large fish if people would just leave 'em in there a little while. 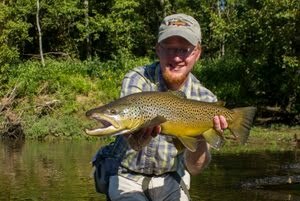 Even with the high pressure from the catch and keep crowd, it still produces very nice fish consistently. While enforcement would be an issue, I would love to see a slot limit on the rainbows. My idea of a good slot limit would be 12-14 or 12-16 inches. 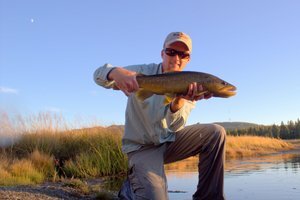 This river can support plenty of large trout and I know I would have a great time fishing over 16-20 inch fish each trip. 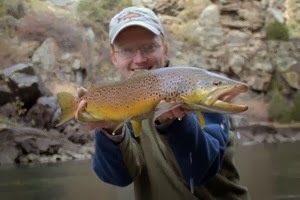 There are already special regulations on the browns so I believe it is time to do the same for the rainbows. Regardless of what you want to see, take the opportunity to make your voice heard. 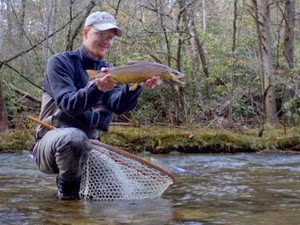 To send your comments, simply take the time to send a brief email to twra.comment@state.tn.us and be sure to include "sport fish comments" in the subject line.